We specialize in being on time and keeping you informed of all aspects of your painting project. Being modern painters, we can colour match anything and provide you with expert advice on the right colours that suit your lifestyle or business needs. Our reputation as professional painters has been built on honest hard work, attention to detail and the fact that we will always conduct ourselves in a professional manner. Our quality of workmanship is second to none and our professional house painters will provide our clients with first-class painting services every time. 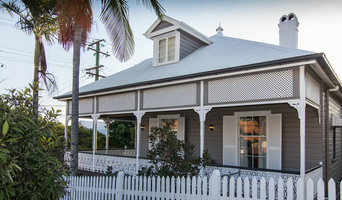 In 2002, Applied and Decorative Painting applied our first lick of paint to a building in Brisbane, beginning a journey that would see us play a role in adding colour, style and quality to our city’s houses for years to come. In the ensuing years Applied and Decorative Painting has built a reputation for quality, care and attention that has surpassed our peers, proven by our Dulux Accredited Painter of the Year award and numerous WOMO awards. That care and attention does not just apply to the way we treat our customers, but also our approach to our team. 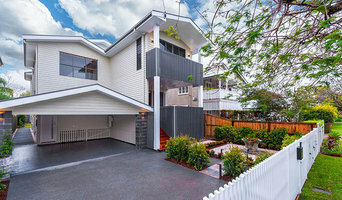 We take pride in the houses around Brisbane that look great as a result of our work, and we also take a pride in the nurturing and personal development of our team members which helps us brightening the world we live in. For Applied and Decorative Painting, a project isn’t merely a case of enhancing the everyday life of our clients, but upmost care and pride is taken, unlocking potential - turning houses into homes. That’s more than just the way we treat our customers, but also in the way we respect their property. Pride in the job we do and pride in the people we work with. Take pride in your place and Applied and Decorative Painting will treat it as if it was our own. Founded on the pillars of integrity, quality workmanship, safety and customer satisfaction, we are a family-owned and operated painter and decorator company who ensure that these core values continue to drive our day-to-day operations. With over 25 years of experience in the painting industry, Darren Slater has employed a small team of trained professionals who share his passion for providing superior painting solutions. Our highly-skilled tradesmen have extensive knowledge and expertise, and are dedicated to delivering the best possible results to all residential and commercial clients. 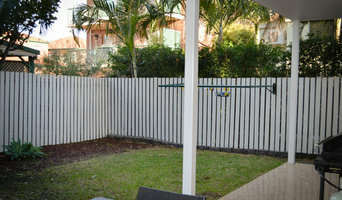 We offer residential painting, commercial painting, body corporate, decorative, roofs, flooring and furniture in Brisbane, the Gold Coast and the Sunshine Coast. 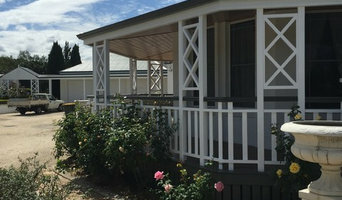 Craig Collins Pty Ltd was established in January 2000 in Brisbane. Over the years it has grown from a one man painting contractor to a 10 employees based Company. We have made it our guarantee to provide quality workmanship and excellent service to all our customers, whether it is a large or small job. Our attention to detail is of the highest standard and we have allowed our team to be up to date with all aspects of our ever changing industry. Our team of employees are well trained, well groomed and have excellent work ethics. With supervision of accredited BSA licence holders we strive to make our clients experience a happy one. At Darra Custom Coatings we pride ourselves in providing our clients with a superior quality product on time. We offer two pack polyurethane spray painting, clear laquering and specialty hand paint finishes. We cover all aspects in the painting and decorating industry, from interior and exterior painting to decorative finishes. No job to Big or small! We have a great hard working team to make your vision become reality! Call Glen for a free no obligation quote today! Painting with pride for over 35 years. We do not compromise quality over price. From the moment you call to book a quote, we treat you in a professional way, if you accept our quotation we are on your job from start to finished ..we do not use sub contractors on any of our jobs. We are specialized in custom Interior and exterior painting services and plasterboard repair. We are in the business for over 15 years with refined and successful work for Real Estate, Insurance, Privates, Commercial, Body Corporate and Programmed Maintenance. Every job is completed and uses the most innovative painting products and solutions for a sustainable environment. We make all preparation to have your job done properly. Including treatment for blocks stains, mould and mildew problem, water affected surfaces, cracks, and much more. 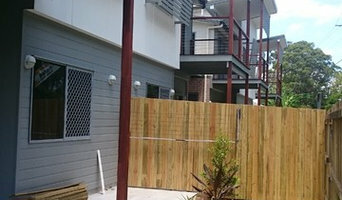 We are proudly North Brisbane based and prefer to work closely with our clients. By choosing Bepainting service you’re not only guaranteed to benefit from our passion, experience and craftsmanship. You’ll also benefit from 100% transparency and reliable workers. Our aim is to deliver quality painting services that exceed our client’s expectations. For your peace in mind: we’re fully licensed and insured. We are a proudly family-owned business operated by two generations of painters. This means that when you choose us as your painters, you gain a team with many decades of industry experience. We work efficiently, have an eye for detail and – above all – are committed to the quality of our workmanship.